I’ve been searching for a perfect light and fluffy yellow cake recipe and I think that I found it. I found this recipe on the box of King Arthur Cake Flour. If your not familiar with King Arthur I suggest you check the flour out. I always used their wonderful unbleached flour for cookies, breads etc but did not like the results for a cake. Now with they have a cake flour I am in heaven. 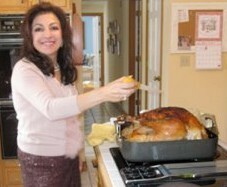 On their web site they have wonderful recipes for all kinds of delectable baked goods. Go to http://www.kingarthurflour.com/recipe/. Getting back to this cake, I just loved the results. The cake is high and light with a wonderful flavor with the addition of vanilla and almond extra. 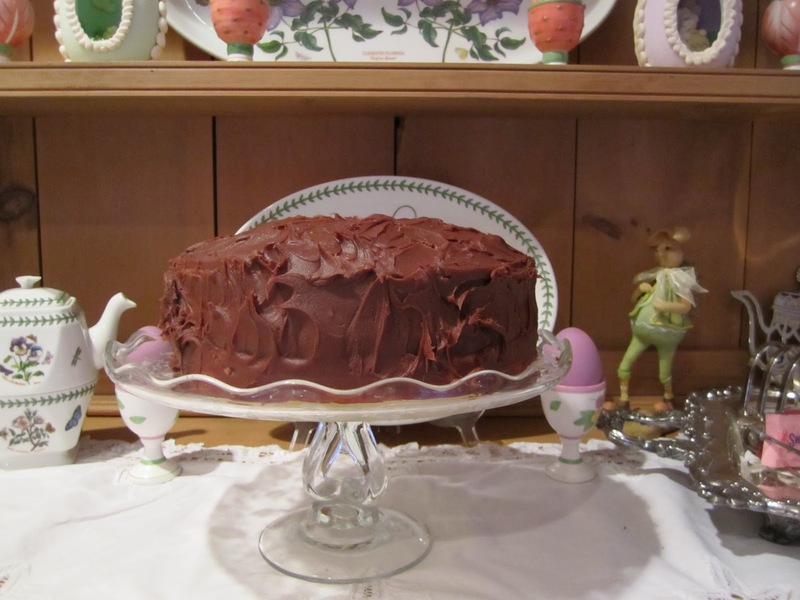 The milk chocolate frosting that I made is rich and complements the light and delicate texture of the cake. In a small bowl, whisk the yogurt or milk. (I used yogurt) with the vanilla and almond extracts. Add that mixture, 1/3 at a time to the batter. Beat 1 or 2 minutes after each addition, until fluffy, scraping the sides and bottom of the bowl. Pour the batter into greased and floured or parchment-lined pans(two 8″ or 9″ round) Cake can also be made as one 9″ x 13″ or 20 to 24 cup cakes. Bake in preheated oven for 20 – 25 minutes for 8″ or 9″ pans; 20-25 minutes for 9″ x 13″ pan: or 15-20 minutes for cup cakes. Remove from oven and frost. 2 1/2 cup powdered sugar. In a medium sauce pan combine chocolate, cream, butter and stir over medium heat until smooth. Remove from heat. Put powder sugar in large bowl. Stir in chocolate mixture and vanilla. Beat with with electric mixer. Chill in refrigerator until frosting thickens and is spreadable about 1 hour. * Here are some baking tips that I’ve picked up over the years. All of your ingredients for cakes, eggs, milk, yogurt, butter must be at room temperature. Don’t just take them our of the frig and start baking. For nice even cakes, not the dome effect, use Wilton Small Bake Even Strips. These insulating strips fit right around your cake pans and you bake the cake with the strips on and like magic your cake comes out perfect.